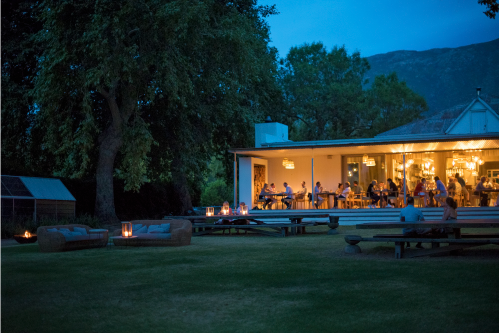 This package in this Lot is a gastronome’s delight and will see two couples enjoying two nights in the beautiful Franschhoek Valley staying at the The Royal Portfolio’s Franschhoek hotel, La Residence, which was voted the best hotel in the world by Condé Nast Traveler. 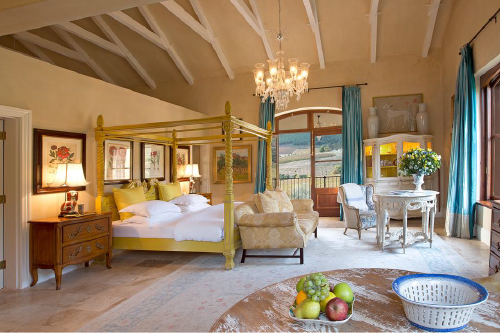 Located on a private 30 acre estate, La Residence sets the benchmark for luxury accommodation in the Cape Winelands. · Arrival and check-in to La Residence. 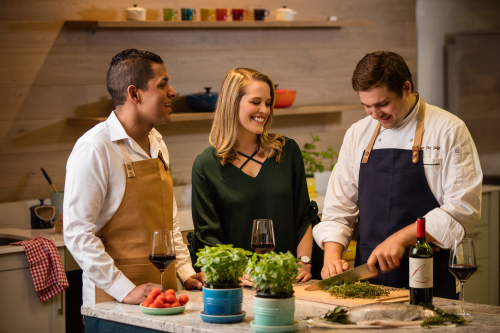 · Visit La Motte Wine Estate for a private wine tasting, museum tour and lunch by acclaimed chef Eric Bulpitt in Pierneef à La Motte Restaurant. · Dinner at Haute Cabrière Restaurant for 12 guests to enjoy a six course tasting menu, paired with wine hosted by Cellar Master Takuan von Arnim. Chefs Nic van Wyk and Westley Muller have a penchant for bold flavours, using classic techniques, firmly rooted in South African flavours and ingredients. As a parting gift – 12 bottles of Pierre Jourdan Blanc de Blancs – the flagship MCC of the Pierre Jourdan range. · Customised cooking class at Leopard’s Leap. French elegance in cuisine, a carefully selected locally themed wine list to showcase the best local wines, a French sommeliers selection. 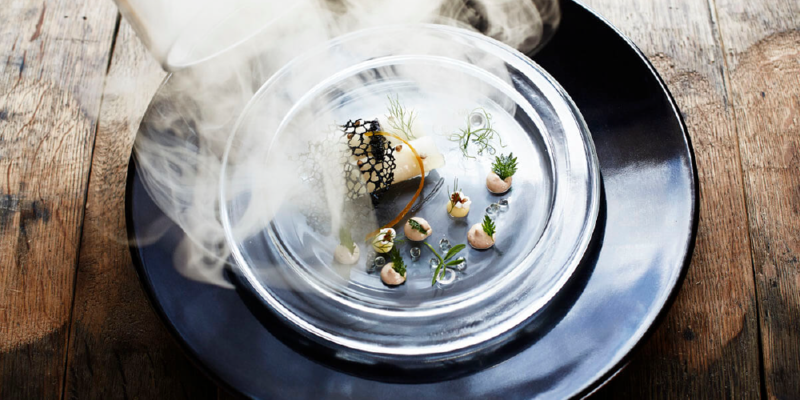 · Dinner at Chefs Warehouse at Maison where you can experience food like you’ve never experienced it before under the watchful eye of award-winning chef Liam Tomlin. · A cellar tour and tasting for two couples at Le Lude hosted by the winemaker, Emma Bruwer, followed by lunch at Orangerie. To take home each couple will receive a 2012 Rosé magnum. of the Eiffel Tower, getting lost in the Louvre and idling down the ChampsÉlysées or enjoying some of France’s finest wines and cuisine in one of the many restaurants close by the apartment. Lunch for four at Pierneef à La Motte Restaurant at La Motte with acclaimed Chef Eric Bulpitt and a La Motte Museum tour. Cooking Classes for four at Leopards Leap Family Vineyards. Dinner for 12 people (so invite eight more friends!) at Haute Cabrière Restaurant for a six-course tasting menu, paired with wine and hosted by Cellar Master Takuan von Arnim and Chef Nic van Wyk. 12 bottles of the Pierre Jourdan Blanc de Blancs – the flagship MCC of the Pierre Jourdan range. Lunch for four at Le Coin Français. Dinner for four at Chefs Warehouse at Maison. Lunch for four at Le Lude.